Aerotech announces the addition of EtherCAT to the A3200 Integrated Automation platform that offers motion control, PLC, and I/O in a single, integrated environment. The EtherCAT interface provides users with the ability to seamlessly incorporate additional high- and low-power digital and analog I/O into a system. Users import the EtherCAT I/O configuration file into the A3200 MotionPAC PLC module making it available to all programmers. Users then use the MotionPAC mapping tool to connect EtherCAT I/O points to TAGs or variables. The connections are made by dragging and dropping the EtherCAT I/O names onto the TAGs or variables defined in the MotionPAC, the Operator Interface, or any other module of the system. MotionPAC will automatically manage the memory associated with EtherCAT I/O mappings. There is no need for the programmer to assign memory addresses. While the programmer is free to view the memory assignments, they can also change or create them, if desired. 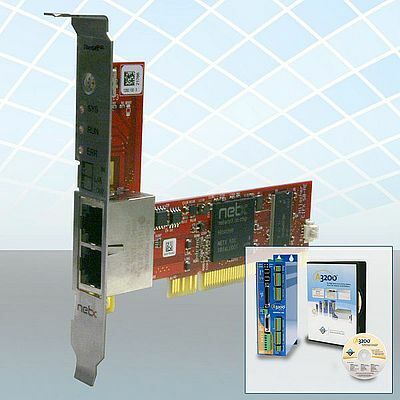 Once the EtherCAT I/O is connected to TAGs and/or variables, they can be used by name in any of the modules including Motion Composer, MotionPAC, Scope tools, or the Operator Interface. The EtherCAT I/O is also available for use in any of the A3200 programming languages including IEC61131-3 (LD, FBD, ST), .NET, LabVIEW, G-code, or AeroBasic languages by name. This means that the programmer can map EtherCAT I/O to TAGs or variables with drag and drop that can be used by programmers without concern for how they are managed in memory or exported to the Operator Interface, Scope tools, or Visual Studio. This tight integration of EtherCAT I/O with the automation platform is supposed to reduce development, integration, and debugging time of the machine development and maintenance.